We have had support to open a location with other applications for a while. 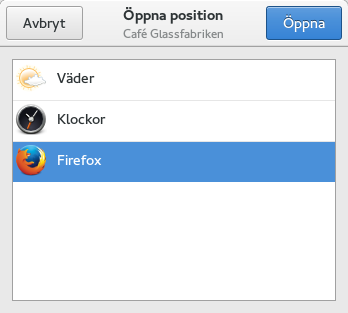 New in 3.20 will be Open with browser. 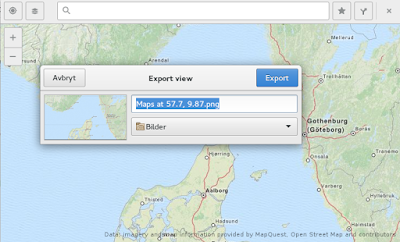 That will send you to the OpenStreetMap page for the location in question. Maps in 3.20 will be able to handle the 'geo' URI scheme. That means that if you follow the link in the previous sentence and go to the wiki page and click on a geo: URI, your browser will suggest that you open the URI with Maps. The GNOME IRC application Polari has also gotten support to linkify the geo: URI. 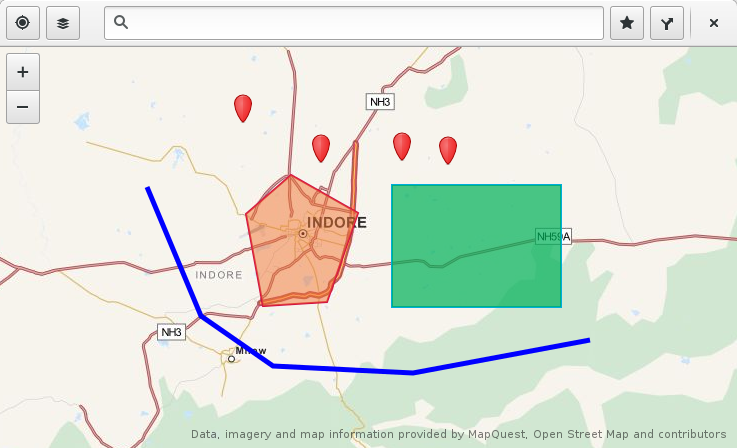 I wrote about this in an earlier blog post we now have support for opening GeoJSON file, that contain simple geometric shapes and annotations. 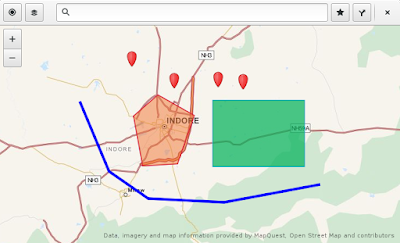 Since then contributor Alaf Azam added initial support for the Mapbox simple style specification for styling GeoJSON data. Which mean we can have stuff looking pretty like below. 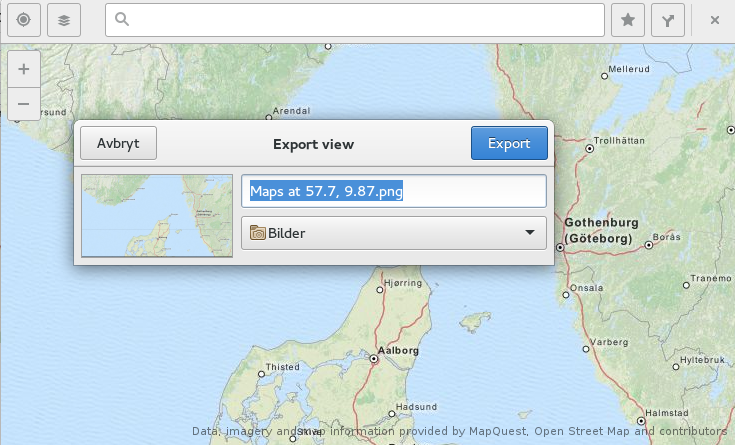 We added functionality to export the current view to PNG. 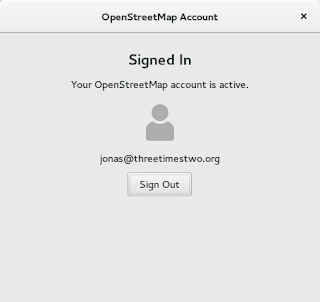 One thing I have wanted for a while now is happening thanks to Marcus Lundbladh we will have the possibility to do simple editing of OpenStreetMap from GNOME Maps. He has written a more in-detail blog post about it here. 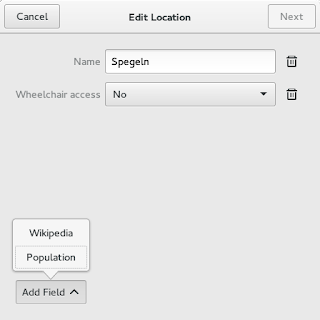 Right now we have merged support to add/alter fields of information in places that already exist. And we will expand on that and maybe add functionality to add points of interest. 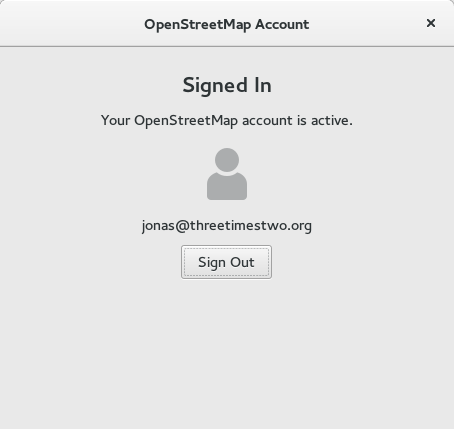 A reason to use GNOME Maps is that we use the open data from OpenStreetMap and it feels good to offer a way to give data back. So all of this and more, like going to your last previous location on start-up is what is happening in Maps for 3.20. And we also got two Outreachy interns for Maps for this round! I will introduce them and what they will work on in a later blog installment!